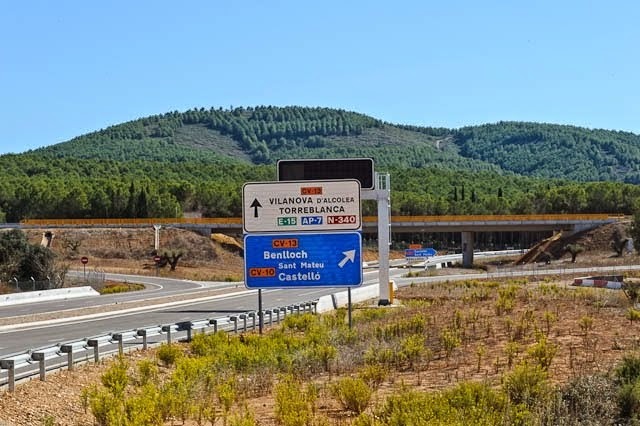 SPAIN's Castellon International Airport is about to finally get its first-ever commercial flights – after costing the equivalent of A$210 million to open in 2011, and apart from one charter flight last January, laying deserted for the four years since. The extraordinary white elephant was conceived towards the end of Spain's building bubble that burst in 2008 sending the country crashing into recession, and bizarrely was built despite no Spanish domestic or international airlines saying they'd use it… and worse, without any official government approval to operate it. And the man behind Castellon, the former head of the local provincial government, Carlos Fabra is now serving four years in prison on tax fraud charges after a court last December heard of millions in unexplained earnings – with Mr Fabra explaining that, luckily, he'd consistently won Spain's rich Christmas Lottery that's the world's biggest in terms of prize payouts. Castellon is in Spain's north-east and with its long Mediterranean coastline and mountainous interior has been growing in popularity in recent years as a tourist destination, with most holidaymakers flying into Valencia just to the south, or Barcelona further off to the north. It was during the 1990s building boom when money was recklessly being thrown at anything suggested, that Carlos Fabra saw the opportunity for his province to cash in on both the boom and the growth in tourism. 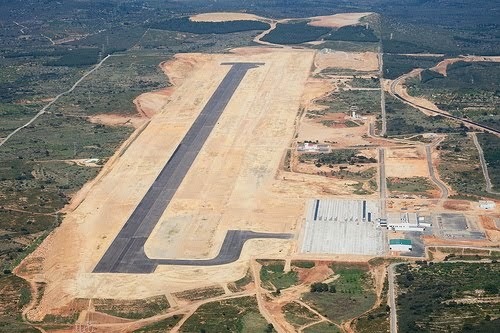 And with it an airport that would deliver Spanish domestic and international travellers direct to his city's front door. 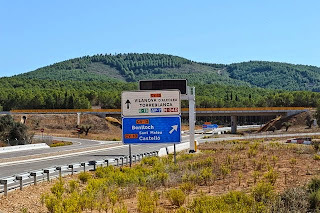 Making the airport concept even more attractive was the promise of a massive new holiday resort that was to be built in Castellon, but with the building boom's bust this, like so many other projects, simply never eventuated. The Castellon International Airport was "officially opened" to much pomp and ceremony on March 25 2011, including the unveiling of an odd 25-metre high statue of Carlos Fabra that's been variously described as whimsical, eccentric, weird and gross. And a major problem was pointed out by pilots and others in the know about the new airport's runway soon after it "opened": it would be too narrow for planes to turn around on, and so in 2012 it was dug-up and widened, adding even further to the cost of the no-planes airport. Not that the widening made any difference: domestic and international airlines continued to let it be known they simply had no interest in landing at Castellon, making a mockery of projections that the airport would attract 600,000 passengers a year – a good percentage of them foreign tourists with plenty of Euros to spend in the city and its surrounds. With the grass outside the terminal growing, and check-in desks and other facilities inside gathering dust, suggestions for putting the Castellon airport to good use included turning its runway into a car-racing track and the terminal a shopping mall, while its owners, the publicly-listed Aerocas, spent E26m (AU$37m) on sponsoring local sporting teams in the hope of attracting others from elsewhere to fly in and compete against those locals. But apart from the Villarreal Football Club using the airport for one charter flight to an away game in January of this year, no one else took-up the option. Now Ireland's budget airline, Ryanair has now announced that it will start flying from London Stansted Airport three times a week to Castellon and twice a week from Bristol in time for the 2015 Easter holiday season, and hopefully carrying 60,000 mainly holidaymakers by the end of the year. As well Aerocas has said it's struck a E27.5m deal (AU$38m) with Canadian multi-national airport operator, SNC-Lavalin to manage and operate Castellon International for the next 20 years. Not that SNC-Lavalin has painted an immediately rosy picture in turning around the ailing airport's fortunes. It says it's hopeful the airport will be handling 200,000 passengers a year by 2017 – including the Villarreal Football Club that has said it will switch from using Valencia Airport to Castellon for all future away games in Spain and abroad. But it also says it needs to see 1.2 million passengers annually before the local provincial government can even look at starting to recoup its costs for the airport – and on SNC-Lavalin's own projections, this won't be until at least 2029.